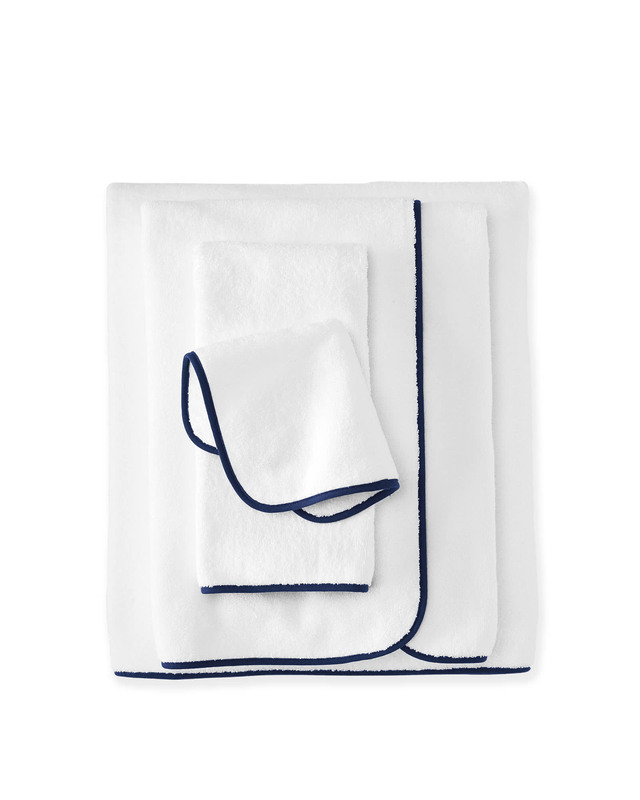 Banded Border Bath CollectionBanded Border Bath Collection, Navy alt="Banded Border Bath Collection, Navy"
Print Incredibly absorbent and extra soft, these are made from lofty 700-gram weight cotton terry that takes the luxe factor to a whole new level. 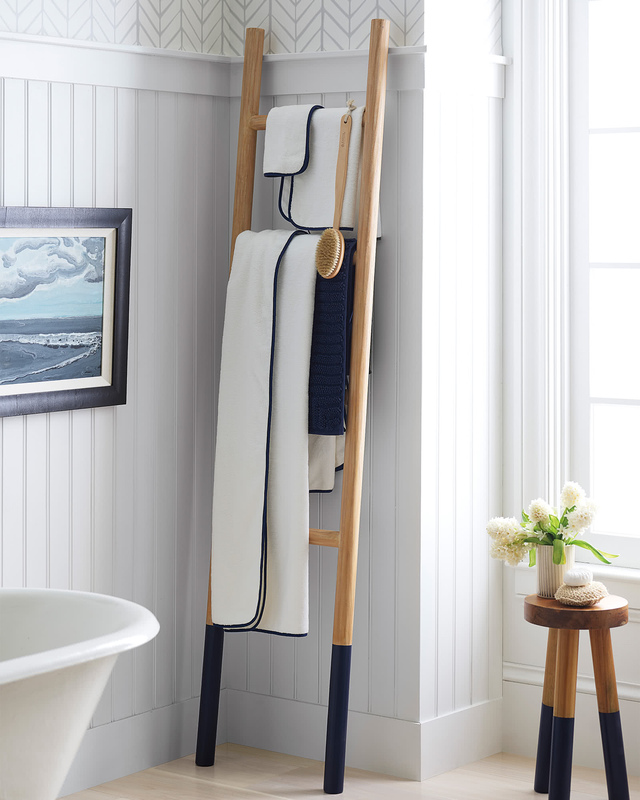 A tailored band on the border makes them just a touch unexpected – such an easy way to bring color to the bath. 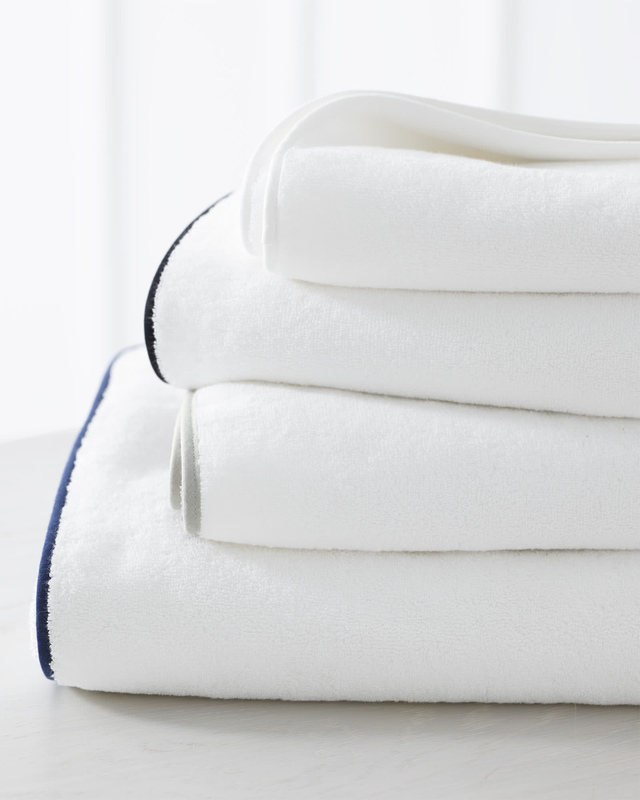 We consider them an essential everyday luxury. 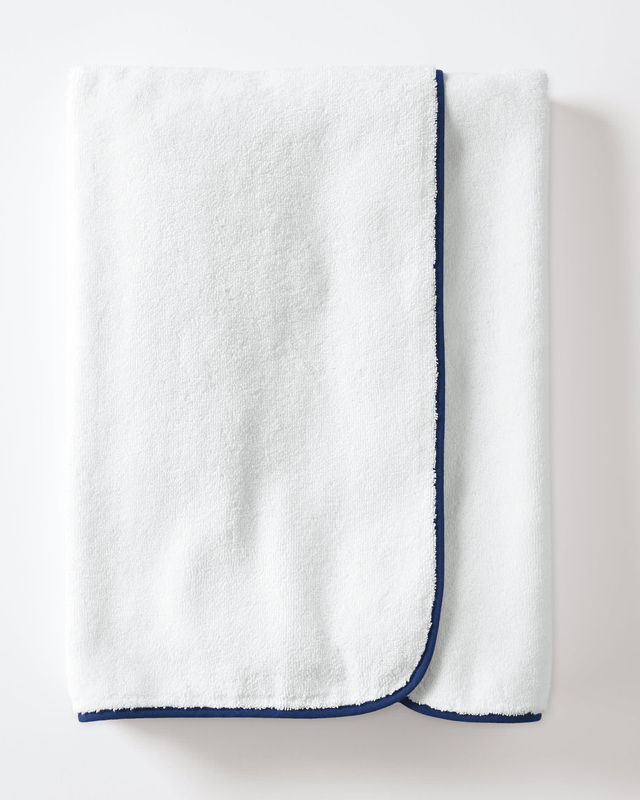 100% cotton terry with cotton binding. An anti-pilling treatment and soft washing process provide lasting beauty and comfort. Bath Sheet: 39” x 70”.